When it comes to work boots, you've got to do it right. When it comes to doing it right, you've got to make sure the important things, like comfort and safety, are covered. 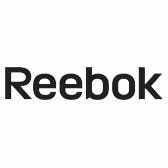 When it comes to covering the important things like comfort and safety, the Reebok Men's RB8 ... (see full details) (see specifications) #RB8630. When it comes to work boots, you've got to do it right. When it comes to doing it right, you've got to make sure the important things, like comfort and safety, are covered. When it comes to covering the important things like comfort and safety, the Reebok Men's RB8630 Black 6-Inch ZigKick Tactical Waterproof EH Side-Zip Leather Boots have got it down pat. These shoes provide the kind of safety, comfort, and durability you need for anyone who works - or plays - in challenging environments. The 6-inch tall shafts are made from a combination of black ballistic nylon and waterproof leather, with front lace-up closures for an adjustable and secure fit. Quality YKK-brand zippers run up the interior sides of the shafts for easy on-and-off, too. The soles of the Reebok boots are made from heavy-duty rubber that's slip-resistant and holds up well against the degrading effects of oil, chemicals, heat, and abrasion. This footwear also features ZigTech specialized EVA midsoles and rigid TPU heel stabilizers. These provide you with shock absorption every time your heel strikes the ground, as well as lightweight flexibility that works with your feet, not against them. The result is less soreness, even after the longest Monday of your life. Talk about comfort, safety, and durability, right? Pretty sure we've more than checked all the boxes there. But we'll also mention that these tactical boots meet ASTM F2892 standards for workwear safety, and they're 100% non-metallic, making them secure against electrical hazards as well as airport-friendly. We can't really think of anything you might want in men's footwear that the Reebok Men's RB8630 Black 6-Inch ZigKick Tactical Waterproof Side-Zip Leather EH Boots doesn't have covered. Order your pair from Working Person's Store, and enjoy! Reebok Boots: Men's RB8630 Black Waterproof 6-Inch ZigKick Tactical Side-Zip Boots is being added to your cart.